Before you make your purchase, it’s only necessary that you know the specifications and the current price of the mobile phone that you’re buying. The Apple store’s iPhone XS price in Singapore 2018 varies depending on the storage capacity of the device. The 64GB iPhone XS can be bought at $1,649. However, if you need bigger storage for your selfies, music, games, and other applications, you may opt for a 256GB or 512GB iPhone XS which costs $1,889 and $2,199 respectively. Now, if you have a limited budget but still want to get yourself an iPhone, you may go for the most affordable of the three iPhone products, the iPhone XR. The iPhone XR price in Singapore 2018 is also categorized into three based on the device’s storage limit. The cheapest that you can get in the Apple store is the 64GB at $1,229. Next is the 128 GB iPhone XR which costs $1,299, followed by the 256GB at $1,469. Last but not least is Apple’s premium flagship smartphone, the iPhone XS Max. The iPhone XS Max price in Singapore 2018 starts at $1,799 for a decent 64GB mobile device storage. It is then followed by the 256GB model which currently costs $2,039 in Apple outlet stores. However, if you have enough stash of money to spend, you may purchase the 512GB iPhone XS Max for an astounding $2,349. Of course, storage is not the only thing that defines a mobile device’s market price. For the next part, we will talk more about the individual specifications of these new iPhones. If you haven’t guessed it now, the iPhone XS is basically an upgraded version of Apple’s 10th-year-anniversary phone, the iPhone X. For comparison, here are some of the features that iPhone XS shares with its predecessor. Now, here are the upgrades that iPhone XS received from its creators. Moving on to Apple’s mid-range smartphone, the iPhone XR may cost less than its contemporaries, but it is still packed with enough amazing features to satisfy your interest. Here are its key features. 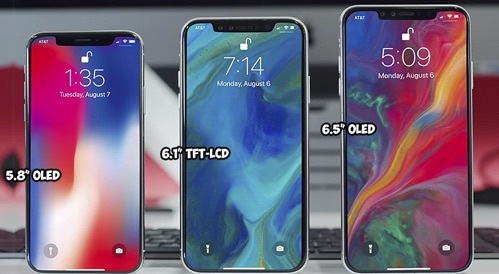 While iPhone XS is allegedly an upgraded version of the iPhone X, you could say in turn that the iPhone XS Max is the BIGGER version of the iPhone XS. The Apple developers essentially took all the features of the XS and packed them all up in a bigger device, making Max a bit costlier than the XS. Here the XS Max’s key features. Now, there’s nothing wrong with buying an expensive iPhone device in cold cash. That’s the case if again, you have extra money to spare without burning a hole in your pocket. However, if you don’t have enough savings to purchase at least an iPhone XR, don’t fret because there are other ways to get one. The most practical mean of getting an iPhone XR is of course, by signing up for a mobile phone plan with Singapore’s data and telecommunication providers. You’ll just have to choose between Singtel, Starhub, and M1 plus the iPhone plans that they offer. Sounds great, right? The question now is, what plan best fits your budget? Below are the current iPhone XR plans offered by Singtel, Starhub, and M1 to their customers. The current Singtel iPhone XR price in Singapore 2018 begins at $27.90 and can go as high as $239.90 depending on the combo plan that you would avail. Here’s a quick breakdown. Now that you know the monthly breakdown of Singtel’s iPhone XR plans, below table will give you an idea of just how much you have to pay depending on the storage capacity of the device, per combo. Overall, Singtel can let you get an iPhone XR for as low as $500. Unfortunately, Singtel’s data plans are terrible so you may need to avail any of their Data X2/3/4 add-ons. These add-ons will let you double, triple, or even quadruple your data if you sign up for Combo 2 and higher plans. Starhub’s iPhone XR price in Singapore 2018 starts at $48 per month for a 2-year plan. Starhub offers as much as $200 discount in every purchase of iPhone XR, FREE SIM card registration worth $48.15, and a $30 bill rebate for all online purchases. Below is a breakdown of Starhub's iPhone XR plan offerings. Like its rival companies, M1 is offering its iPhone XR phones in 2-year contract plans. At the moment, the M1 iPhone XR price in Singapore 2018 can be availed for as low as $40 per month, depending on the MySIM plan. Below table shows M1’s offerings and their corresponding price. Please note that M1 is not only offering MySIM plans, there are also i-Lite, i-Reg, and i-Max plans. There’s no denying that the iPhones are among the most wanted devices today. And things got hotter for Apple after it released the iPhone XR, iPhone XS, and the iPhone XS Max. Now, if you’re an avid iPhone customer, chances are, you already have the latest iPhones in your possession or still finding ways to get one. If you’re a current Singtel, Starhub, or M1 iPhone plan holder, you are eligible to get a new data plan that best suits your budget and usage. With that benefit, you can also get the latest iPhone XR, XS, or XS Max for half of the store price depending on your monthly bill. 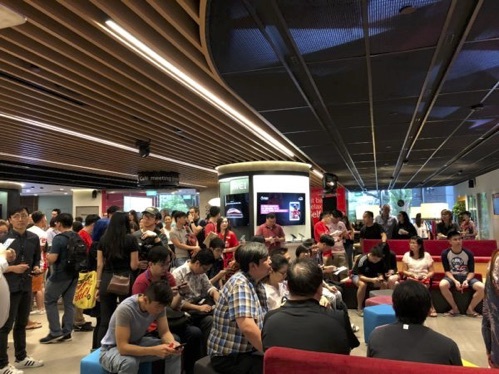 On top of that, Starhub customers can save significantly on their monthly bill when they avail of the telco’s unlimited weekend data plan for iPhone XS and other premium phones. Also, did you know that aside from signing up for data plans with your network carrier, there’s also another affordable way of getting the latest Apple mobile device? If you have an old iPhone in your possession, you may avail of Apple’s Give Back program. The Apple Give Back lets users trade in their Apple gadgets that are still in good condition for money via bank transfer. Aside from Apple, there are also other online trade in shops in Singapore that buy back old iPhones. All you have to do is visit Apple or any trade in store online, answer a few questions, and get an estimate of your old iPhone’s worth. 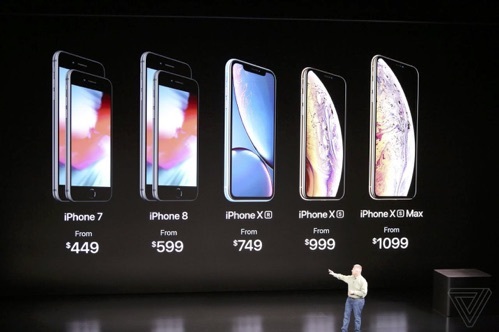 Once you agree with the price, you’ll just have to go to the store, drop your device, get your money, and head over to the nearest Mobile Phone Shop or telco to buy your brand-new iPhone!